Invented by Tigere Chiriga, The Floating Mug is both a porcelain mug and coaster, where the handle acts as a coaster to prevent heat and moisture rings from getting on furniture. 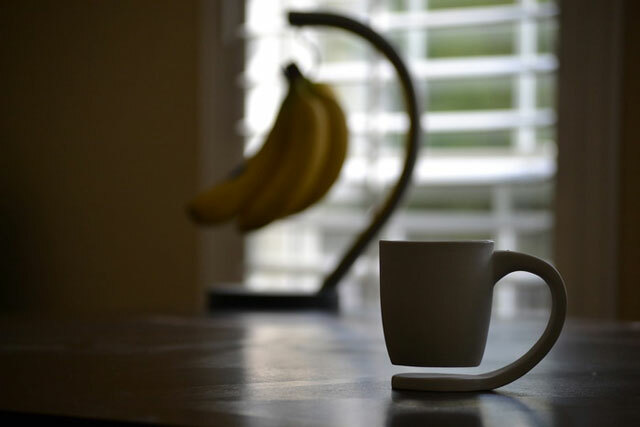 The mug’s uniquely-shaped handle/coaster was inspired by the design of a hanging banana holder. To bring the mug to market, Tigere has launched a fundraising campaign on Kickstarter.